Changing an album name, or the artist for an album, is pretty simple. 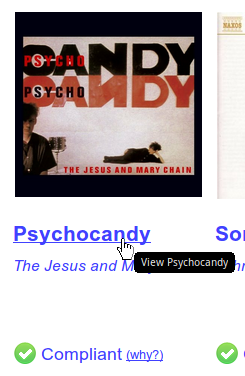 There are two ways: via the album detail page, or via the Tags page. The first is simplest for one album, so we'll start there. Now enter the new name and press [Enter] or click away to apply it. Pressing [Esc] aborts the edit. 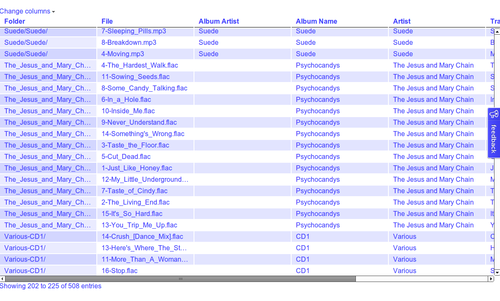 Once the edit is applied, bliss updates the name tags inside the music files and re-assesses the album. What about album artist and track artist? Good question! Readers of the blog will know that album artist and track artist are different concepts and different tags inside music files. 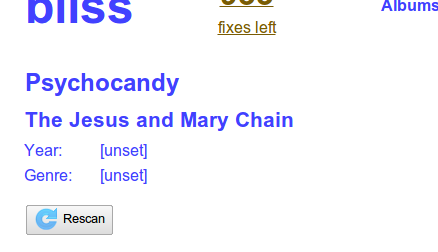 bliss only ever shows one artist name in the album detail page. So when you edit the artist name, which tag gets changed? The answer is that bliss tries to be smart. If there's an existing album artist tag then that's the tag that gets updated. If there's also a track artist tag, with the same name, that also gets updated. Finally, if there's no album artist tag, it's just the track artist tag that gets updated. Press [Enter] to change the tag. As a result, bliss will re-assess the album. Note that by changing the album name you will create a second album with the new name in the bliss UI. And that's how to change album and artist names in bliss!